The students and representatives from each firm then came together for lunch on the San Antonio College campus, where they shared insights and experiences gained from their morning tours. Also attending the lunch were leaders from San Antonio College, Alamo Colleges, and the Alamo Colleges Foundation. O’Connell Robertson, which hosted the event with the Alamo Colleges Foundation and sponsored the lunch, started the program in 2014 with the architecture and engineering program coordinators at SAC and Alamo Colleges Foundation staff. The program was such a success that it was decided to continue with an annual event. 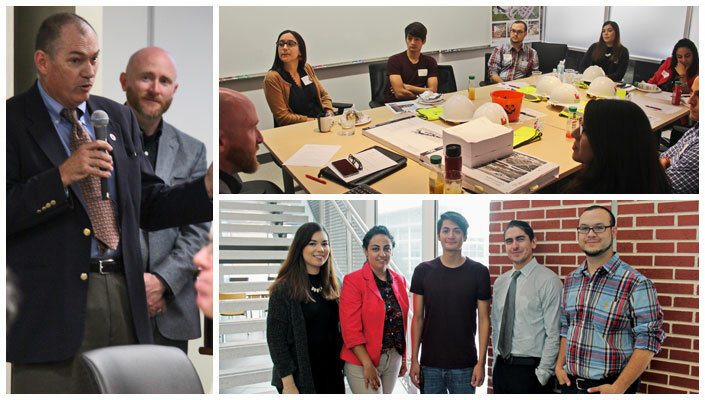 Other firms that participated in this year’s SAC A/E Job Shadow Day were: Alamo Architects, Bain Medina Bain, Big Red Dog Engineering, CNG Engineering, Ford, Powell & Carson Architects, HEB Architect/Engineering Department, IES, Lake Flato Architects, LPA Architects, Munoz & Company, Overland Partners, PBK, RVK Architects, Sprinkle & Co., Terracon, and WestEast Design.